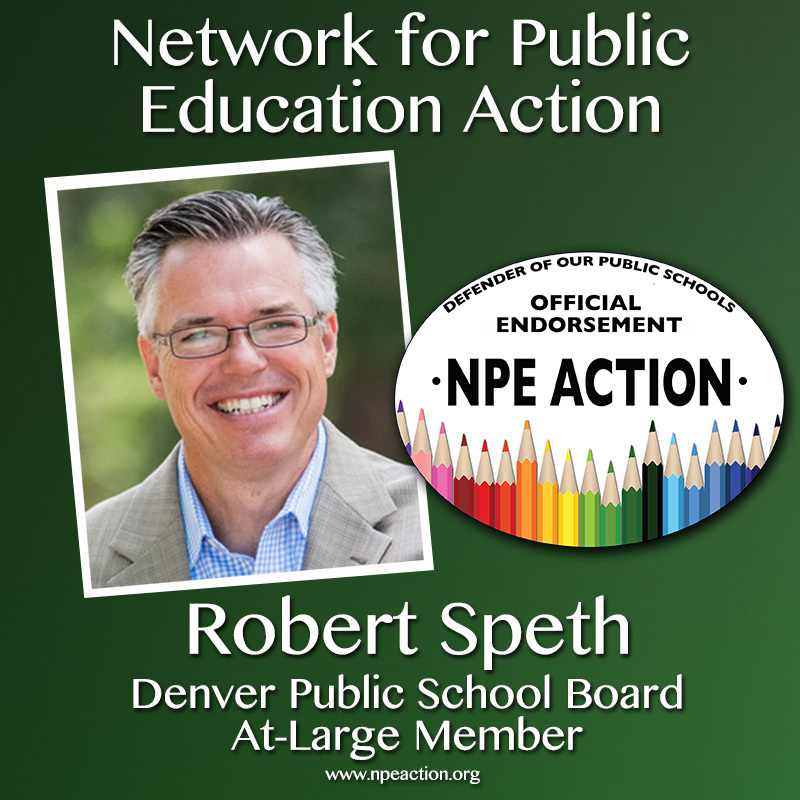 Pro-public education candidates are up against powerful dark money. Billionaire donors give to non-profits, which do not have to disclose donations. These non-profits then funnel money to PACs and super PACs. The donor to the PAC is listed as the non-profit, thereby hiding the identity of the givers. Voters in local elections never know that the ads they see are financed mostly by out of state billionaires. If those donors then make a profit once the candidate is elected, the connection is hidden. So-called education reformers are masters of this game. 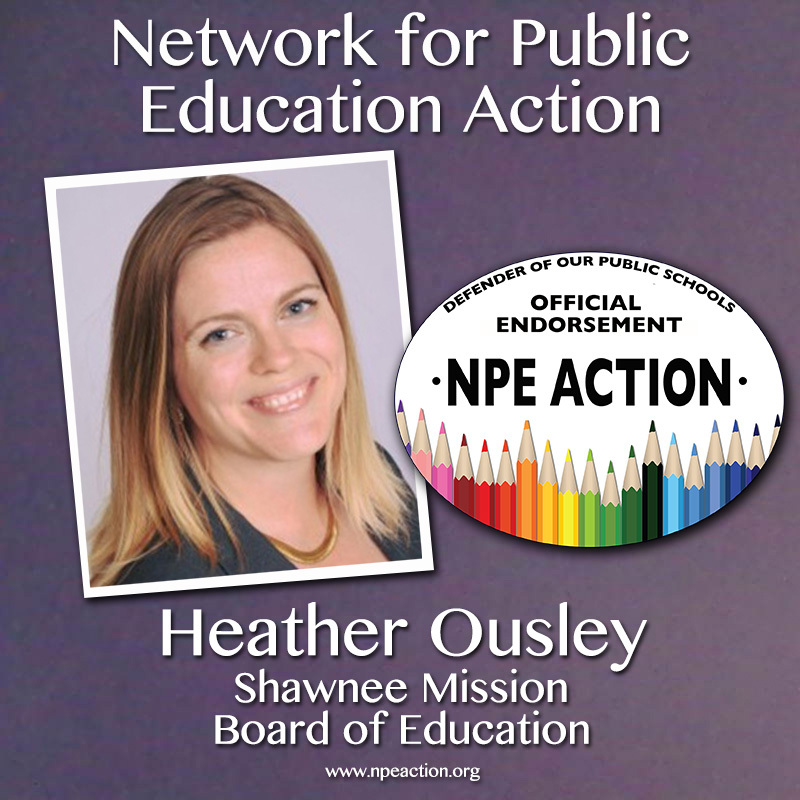 One of the worst offenders, Education Reform Now Advocacy, is an arm of DFER. Please read and share this article about them here​. Then share this link with friends and family. 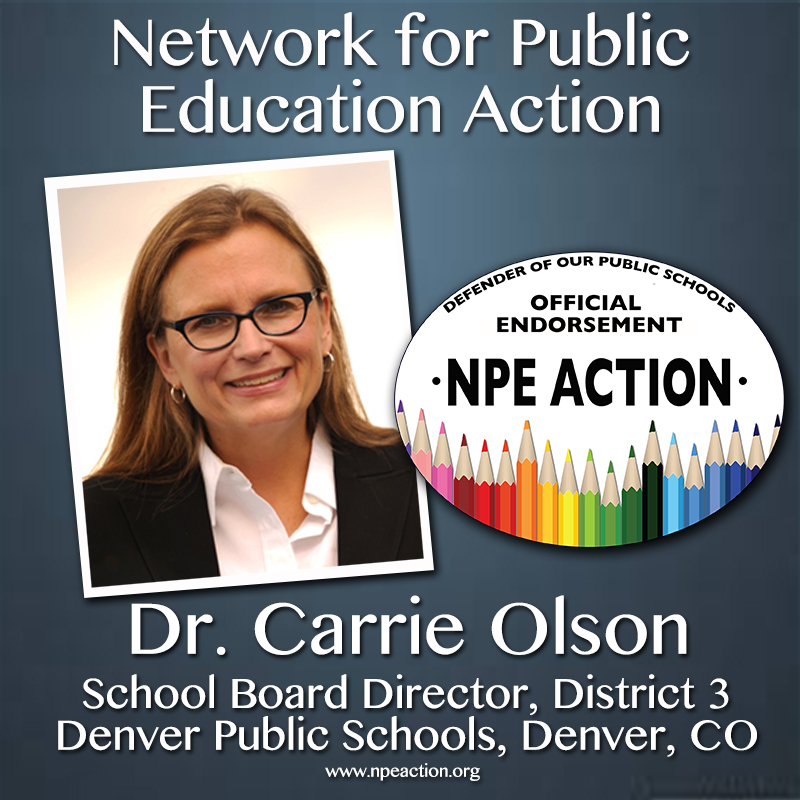 The Network for Public Education Action, which is also a 501 (c)(4), understands that it is our responsibility to inform the public about policies, issues and candidates as a public service. We do not give to campaigns or funnel money to campaigns. Below are some candidates that we have screened and who we believe deserve your vote. 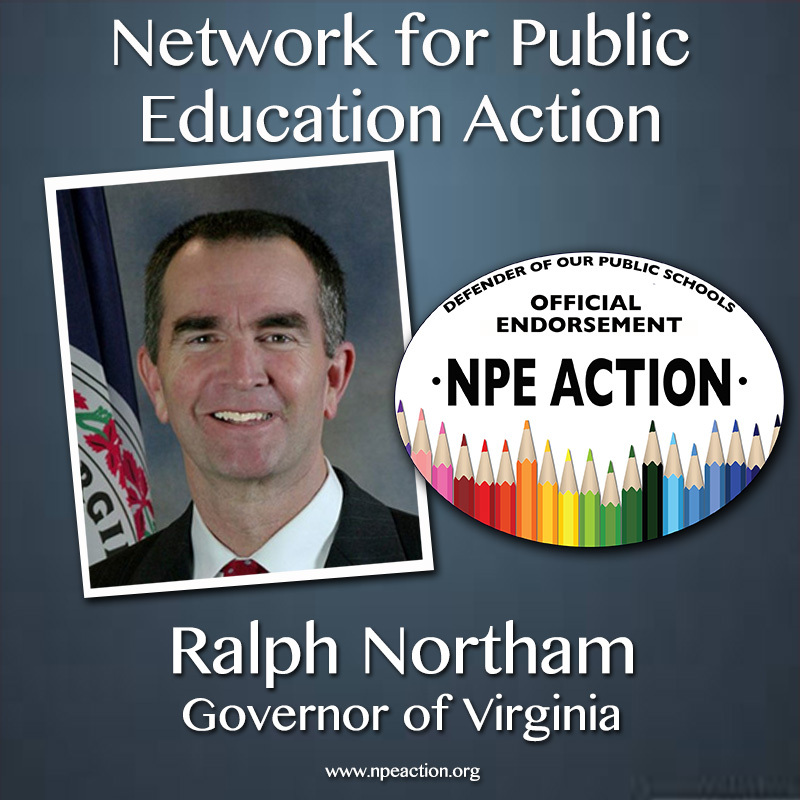 Governor: Learn more about him here. 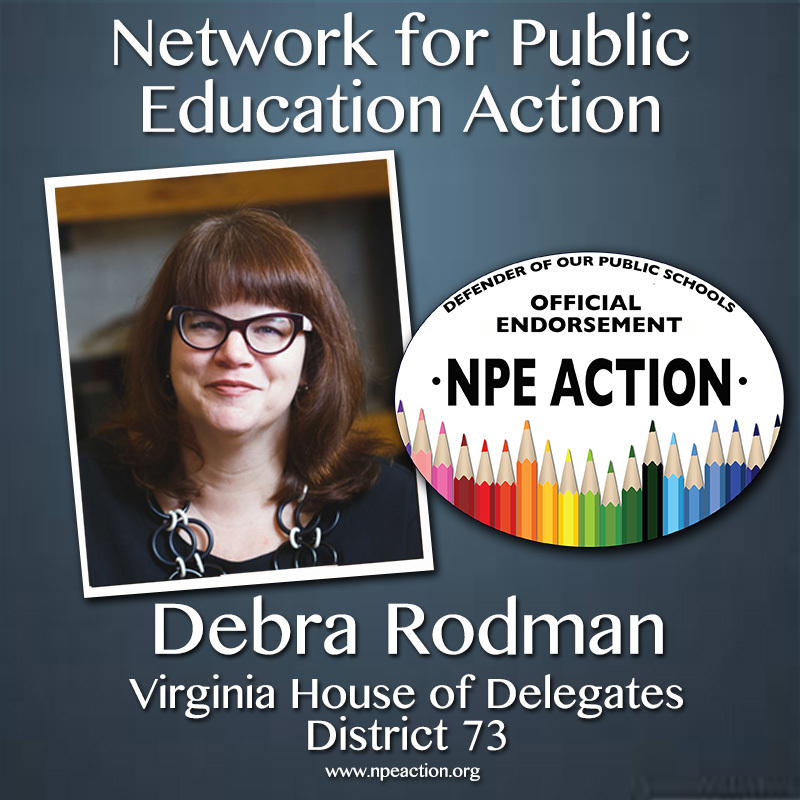 House of Delegates: Learn more about her here. 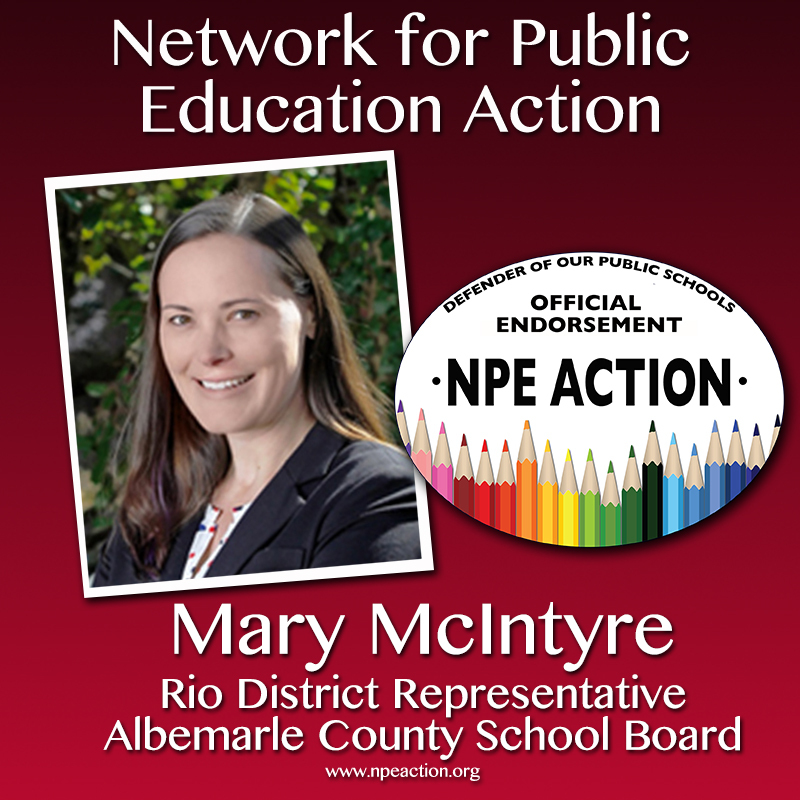 Albemarle County School Board: Learn more about her here. 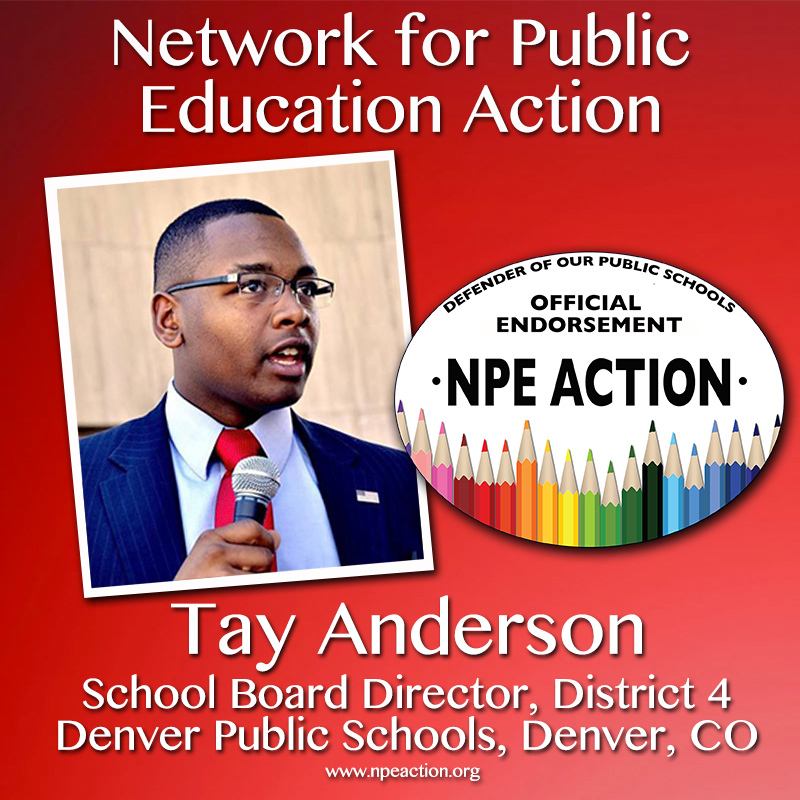 Denver School Board: Learn more about these candidates here, here and here. 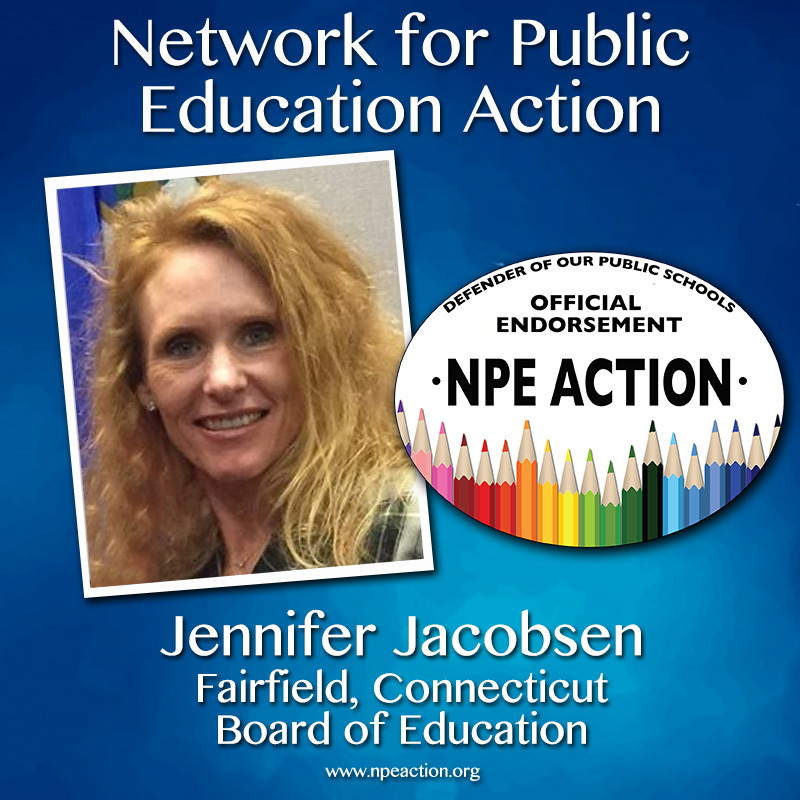 Fairfield Board of Education: Learn more about her here. 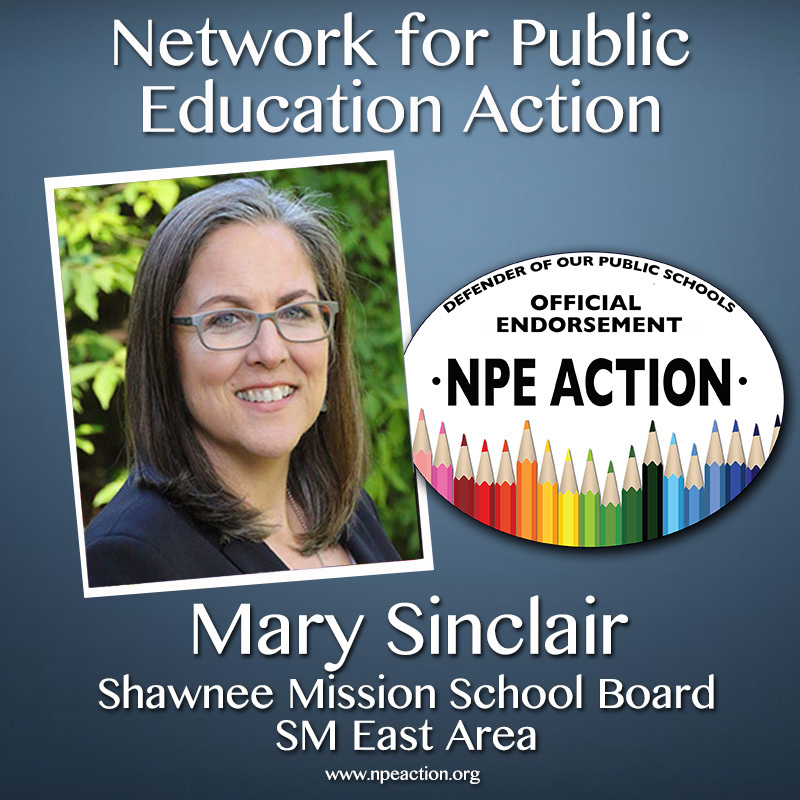 Shawnee Mission School Board: Learn more about these candidates here, here, here and here. 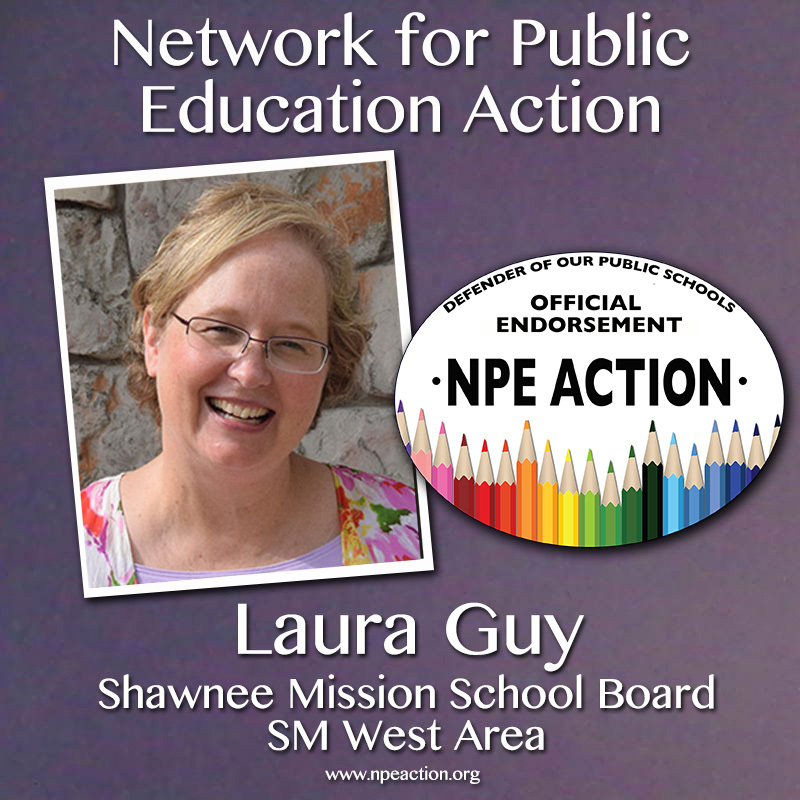 All endorsements are paid for exclusively by the Network for Public Education Action.